Lauren Traficanto has witnessed the ups and downs of the real estate market since launching her career 12 years ago. While her start in the profession coincided with the nation’s financial downturn, the experience increased her capacity to confidently guide her clients through buying and selling in any economic climate. Her perseverance during the tough times paid off in 2013 when she topped her own personal best by generating $10 million in sales. As Traficanto describes it, that was “a turning point” in her career. With specialties in luxury and new construction properties primarily located from the South Loop toUptown Chicago, Traficanto particularly supports first-time homebuyers. “I connect with them so well because I can explain the buying process in- depth to make it the most rewarding experience possible,” she explains. In fact, Traficanto cites the relationships she establishes with her clients as the most satisfying aspect of her career, adding that repeat buyers and sellers comprise a significant segment of her clientele. 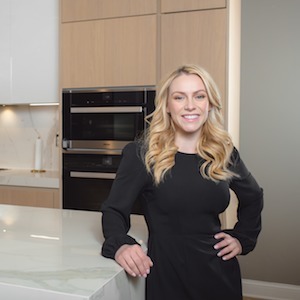 Traficanto, who ranks among the Top 1% of Chicago Realtors, makes herself readily available whenever clients need her and does so with unwavering enthusiasm. For her, each client is unique and should be treated as such. “The best compliment I’ve received is that the service I provide lets my clients know that my career isn’t just about my commission,” she says. “I truly care about their experience."